When it comes to soup, i have to pull out the big guns. Scott doesn’t consider soup a meal…what’s with that anyways?? So, i take the challenge to prove his theory wrong very seriously. I think we have a winner here. Judging by his reaction we do. 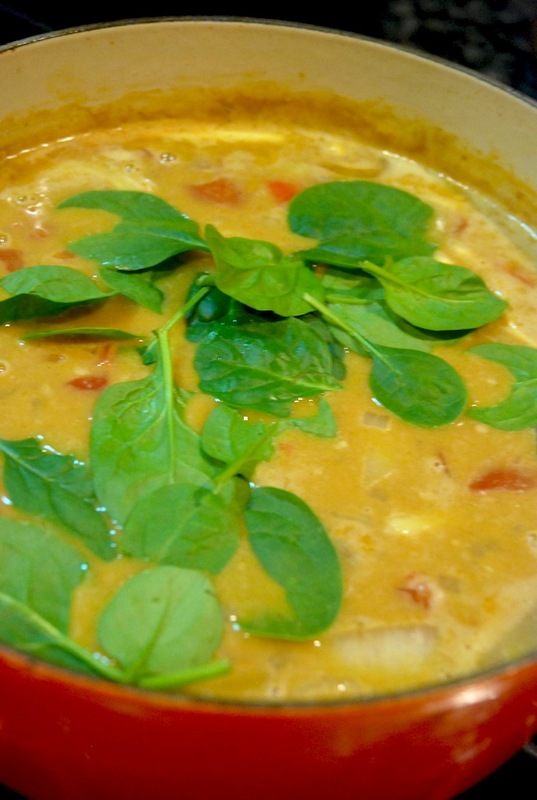 This soup is a party in your mouth…tons of flavour and a hearty texture. And bonus? 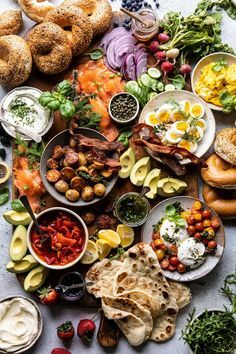 It’s paleo..so eat up! Go on make it. It’s a goody. Melt coconut oil and sauté the bell peppers and diced onions til soft. 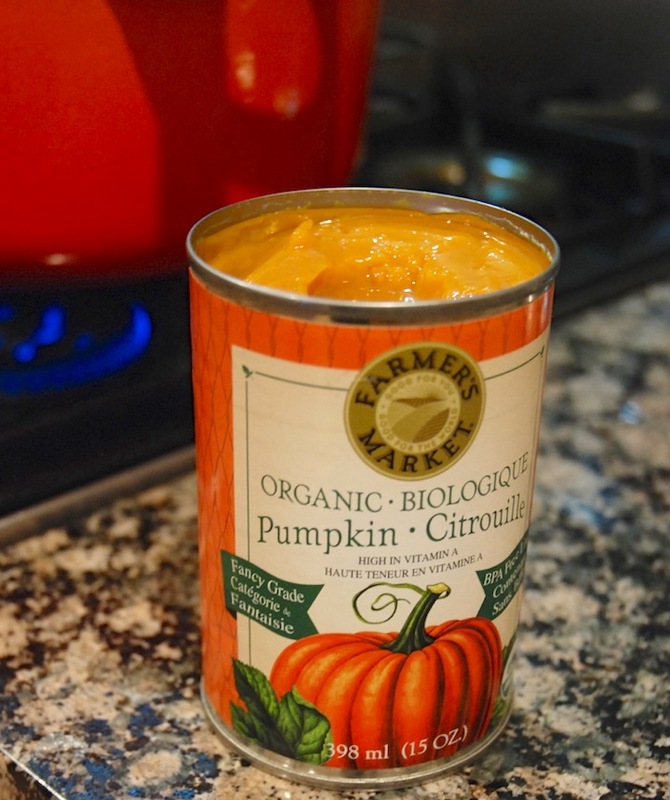 Just a note of opinion…i prefer to use the organic pumpkin puree…not only does it taste better, but it’s the real colour of pumpkin! Note to self: Don’t get rid of the leftovers….that extra night in the fridge just gives the flavours more time to do their thing! So good! 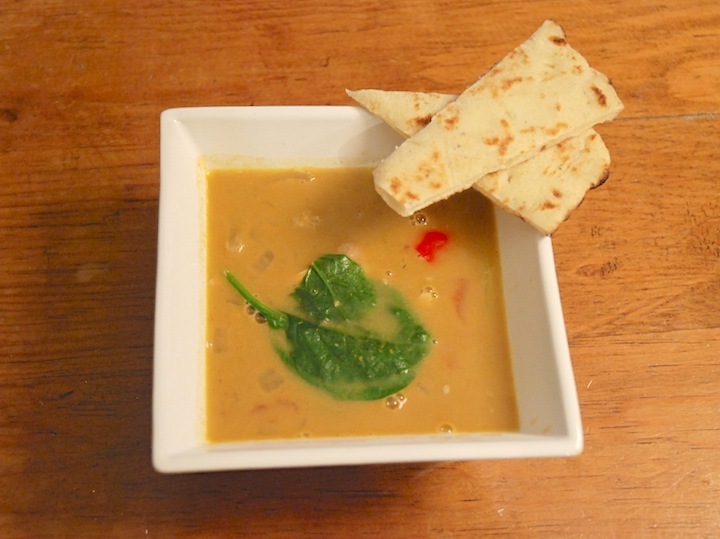 I served this soup with grilled naan bread for dipping. Meal complete. Add the coconut oil to a large dutch oven or pot over low-medium heat. 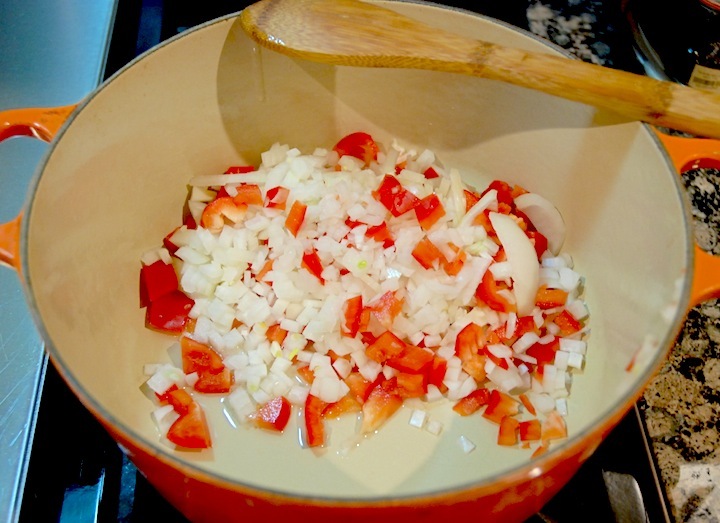 Add the diced onion and sliced peppers and soften them for 5 minutes. 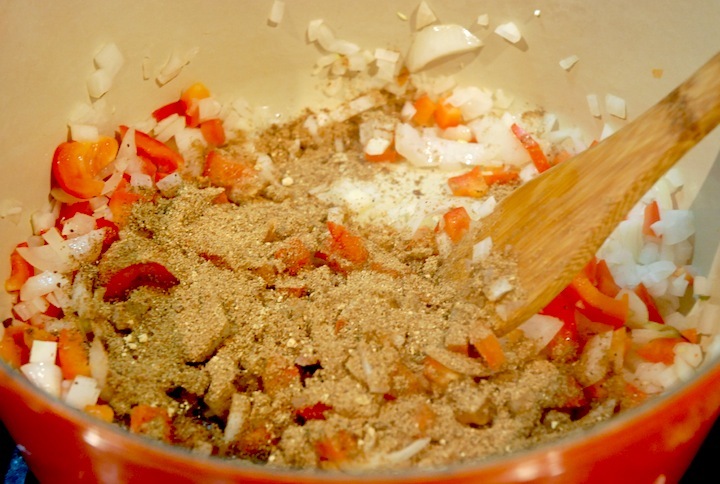 Stir in the Moroccan Spice blend and cook for a few minutes, until fragrant. Add the diced tomatoes, coconut milk and chicken stock. 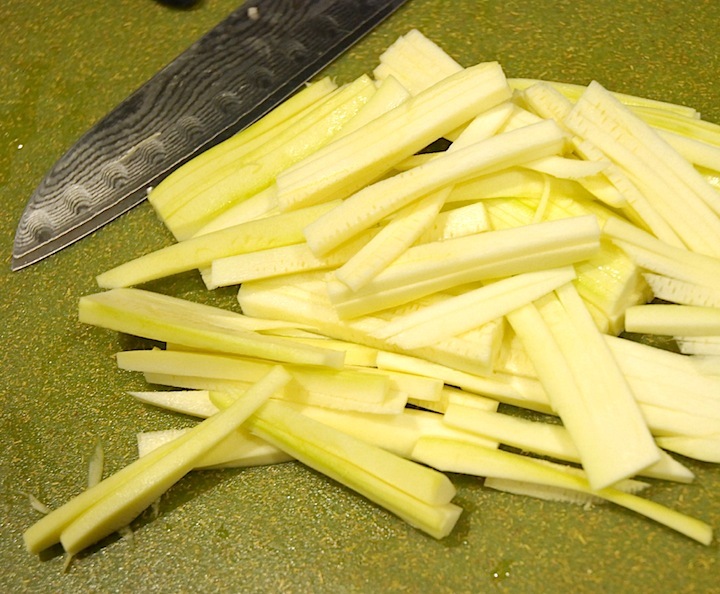 Turn up the heat and bring the pan to a simmer: don’t boil as this will separate out the coconut milk. Season to taste with salt and, if using, red pepper flakes. Stir in the pumpkin puree to thicken. Bring back to a simmer. Add the chicken and zucchini noodles. Cook until the chicken is heated all the way through and the noodles have softened, about 5 minutes. Before serving, stir in the fresh spinach and let it wilt slightly.